Stretch knit halter garter dress with contrast collar detail, front zipper, tie back closures, attached front elastic garter straps and open back. 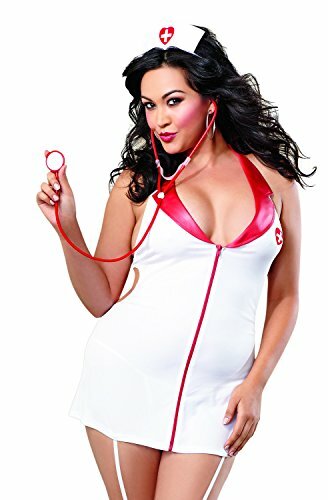 Matching nurse cap and stethoscope included. Shown with style 0005X thigh highs, sold separately.